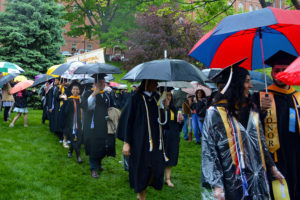 Riverdale, N.Y. – The College of Mount Saint Vincent held its 106th Commencement Ceremony on Saturday, May 19, 2018 on the River Lawn of the College’s Riverdale campus. 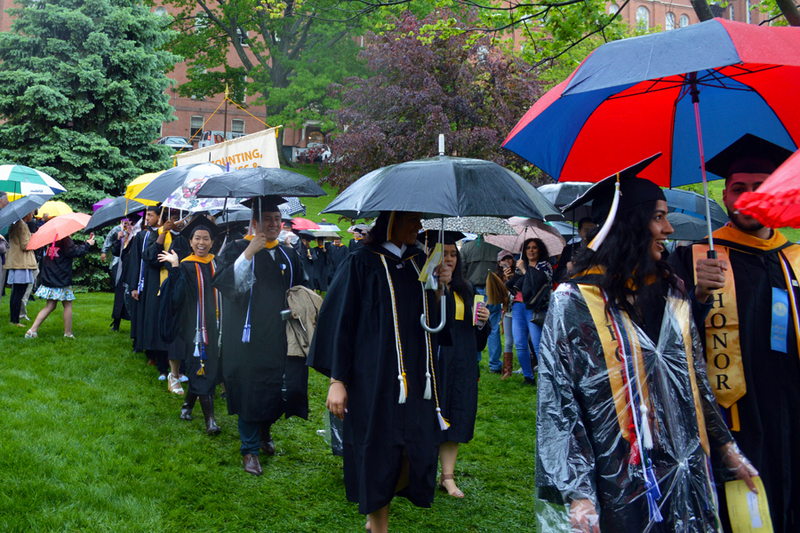 Nearly 500 students received their undergraduate and graduate degrees during the weekend of celebration. Commencement Weekend began on Friday, May 18, with the Senior Convocation and Baccalaureate Mass, which recognized the achievements of Mount Saint Vincent’s undergraduates and celebrated their hooding as graduates. 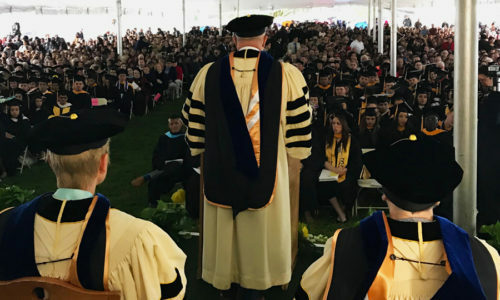 Howard M. Fillit, M.D., the founding Executive Director of the Institute for the Study of Aging and the Alzheimer’s Drug Discovery Foundation, received an honorary doctorate of science and delivered the Commencement address to the Class of 2018 during Saturday’s ceremony. Dr. Fillit, an internationally recognized geriatrician, neuroscientist, and leading expert in Alzheimer’s disease, also serves on the faculty of the Icahn School of Medicine at Mount Sinai. He is a graduate of Cornell University and SUNY–Upstate Medical Center. 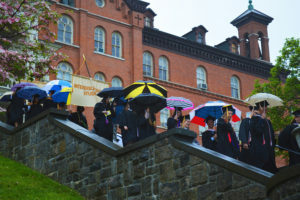 During the Commencement Ceremony, Mount Saint Vincent also awarded the Elizabeth Seton Medal—the College’s highest honor—to Ann Costello, S.C. for her work as a distinguished member of the Sisters of Charity. Sr. Ann Costello, Health Coordinator for the Sisters of Charity of New York, began her ministry with the Sisters in 1965. She has held a number of administrative and nursing positions at the Sisters of Charity Center, the Convent of Mary the Queen, St. Vincent’s Medical Center, St. Clare’s Hospital, and with the Dominican Sisters of Sparkill. The Elizabeth Seton Medal is named after Saint Elizabeth Ann Seton, founder of the Sisters of Charity, the first American congregation of vowed American religious women who have ministered to the needs of New York and founded, led, and staffed schools, hospitals, and social service agencies throughout their history. The Sisters of Charity of Saint Vincent de Paul of New York founded Mount Saint Vincent.